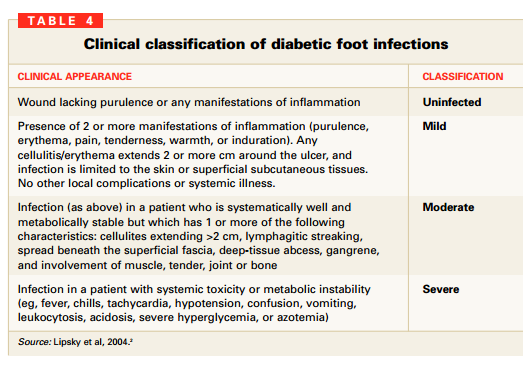 May 6, 2013 /0 Comments/in Diabetes /by Jenn F.
Are you concerned about your foot? Any small wound can be a cause for concern if you have diabetes. “Foot infections in persons with diabetes are a common, complex, and costly problem,” writes Benjamin A. Lipsky of the Veterans Affairs Puget Sound Health Care System. “In addition to causing severe morbidities, they now account for the largest number of diabetes-related hospital bed-days and are the most common proximate, non-traumatic cause of amputations,” he adds. The best approach for diabetic foot infections is to get in to have your foot check out by a multidisciplinary team right away! Staph infection is the most common type of diabetic foot infection seen, but e. coli and MRSA are sometimes also discovered. 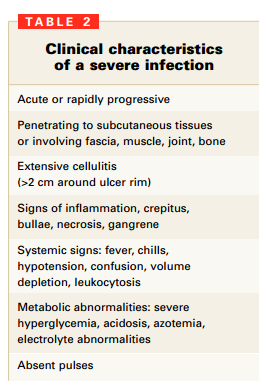 The type of bacteria, as well as the severity of the infection, will dictate treatment. 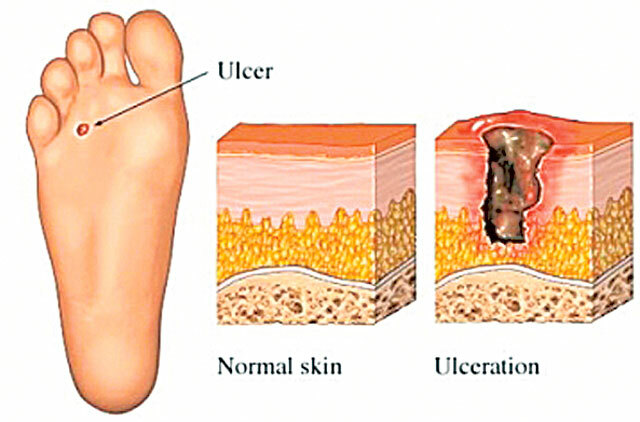 Researchers from the New Jersey Medical School report that a non-infected ulcer may be treated with hyperbaric oxygen therapy, specialized footwear, the prescription drug Becaplermin, or a custom cast that relieves pressure from the wound to promote faster healing. It may sound terribly unpleasant to imagine a sample being taken from an already painful wound, but it will just be a quick scrap or swab and you will hardly feel a thing! It is the only proper way to determine the best course of action for your treatment. In addition to checking out your foot wound, a good doctor will take a moment to assess other conditions that may contribute to your problem. Diagnostic imaging will provide vital clues about Peripheral Artery Disease (PAD) and Peripheral Neuropathy. An external Doppler probe will check the blood pressure on your ankle while resting. Sometimes the doctor will ask you to walk to test further. To assess for neuropathy, the doctor will check your touch, vibration and pressure sensations using cotton wool, a tuning fork and a nylon monofilament. These tests are painless and routine. A scan of the foot will reveal any abnormalities in the bone, the presence of foreign bodies, or any soft tissue gas present. Antibiotics – For infections, oral antibiotics are most common. Mild infections may include topical treatment. Surgery – Severe infections may include a deep incision, debridement, or emergency amputation. Metabolic Stabilizing – Your other medications may need to be adjusted during your treatment as well. We’ve spoken with many doctors who say patient compliance is their biggest challenge in managing these wounds or preventing a recurrence. Keeping the feet free from infection involves limiting contact with bacteria, monitoring the feet each day for new developments, and finishing any prescribed medication. Part of the reason we developed the SteriShoe® UV shoe sanitizer is to help diabetic patients kill off up to 99.9 percent of the bacteria they are harboring in their shoes. There is no guaranteed way to prevent contact with harmful microbes since they are so abundant in our environment, but we can still do our best to reduce exposure, build-up and the environments where they thrive. What Causes Diabetic Nerve Damage?